While many new residents, singles and young families, are embracing urban living, working “seniors” are also moving downtown, transitioning from suburban homes where they raised their families to the city, drawn to the convenience and energy of an urban lifestyle vs. moving to age designated, sometimes isolated, suburban communities. The walk-ability to shopping, dining, arts and entertainment venues and medical services is appealing to any age. Nearly 40% of Bellevue’s population is made up of young-at-heart 45-70 year olds who are still working or are active retirees. Bellevue is also a city of many nations. With over 39% of Bellevue’s population having been born in a foreign country, the city has expanded its cultural diversity. 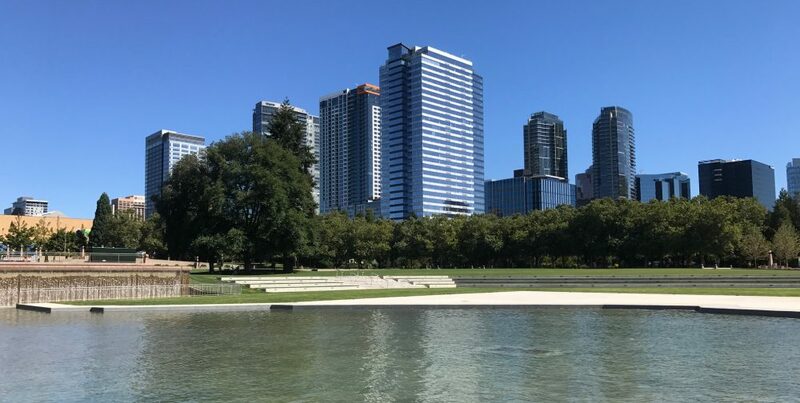 A stroll through Bellevue Square or along the canal at the Downtown Park will reveal a wide variety of languages being spoken by many generations of families who now call Bellevue home. The city has experienced phenominal business and population growth over the last 10-15 years, and with that growth comes change. Not everyone may embrace change, but the city will never look like it did two decades ago. We are fortunate to live in an active, diverse, thriving city with a vibrant business district, some of the best shopping and dining north of San Francisco, excellent schools and access to world class health care. Its a great place to call home. This entry was posted in CITY LIVING, DOWNTOWN BELLEVUE, lifestyle, livability and tagged Downtown Bellvue, families, lifestyle, schools, seniors, urban living by Robin Myers. Bookmark the permalink.